The World Monuments Fund today (11 January) announced the completion of a conservation project at two historic Mughal gardens along the Yamuna riverfront in Agra, India, that had been threatened by pollution, traffic congestion and other urban ills. The sites, Mehtab Bagh and the Garden of the Tomb of I’timad-ud-Daulah, were newly inaugurated by the fund and the Archaeological Survey of India, its partner in the four-year effort, in a ceremony at I’timad-ud-Daulah. 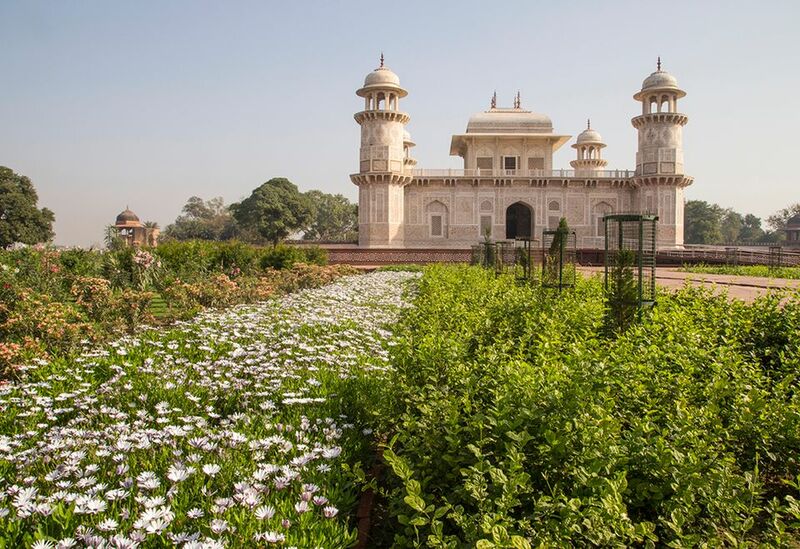 The fund says that only a few of the luxuriant 16th- and 17th-century gardens built along the river for the local royalty and nobility of Agra remain intact. In that era, the riverfront was densely covered by walled enclosures, buildings, pavilions and lush plantings. The conservation project brought in new plantings to better evoke the historic Mughal landscape. Crucial to the initiative was the introduction of a management system to restore the flow of water into the gardens, the fund says. This stretch of the Yamuna River, once replenished by the melting snows of the Himalayas, had become depleted and contaminated. The water management system for the gardens posed challenges. All available water sources were tested at the outset of the project, the fund says. The results showed that water from the Yamuna River was inadequate in both quality and quantity and that the groundwater was high in total dissolved solids, making it unusable without treatment. The sewer line that ran outside the site was also found to have inadequate capacity, especially for improved visitor services, so it was determined that a water treatment plant would be necessary. Planners sought to find a solution that would neither draw from the limited water resources available to the people of Agra nor discharge any affluent that would further pollute the Yamuna and the environment at large, the fund says. Ultimately a hydraulics engineer designed a highly sophisticated system in which groundwater drawn from the site itself is treated, allowing it to be used for irrigation. The conservation project also involved building a new visitor centre in the forecourt of the Tomb of I’timad-ud-Daulah to enhance the experience of the sites, which are overshadowed by the Taj Mahal on the other side of the Yamuna. Local residents and tourists will now be able explore interactive exhibition kiosks, videos and other features to learn more about the gardens.